The summer holidays are well underway and the heatwave then thunderstorms mean the weather is unpredictable so entertaining the children can be a bit of a pain. Certain things however are always sure to entertain and keep the children happy. One such thing is decorating T.shirts. With the children bringing home P.E kits which are now abit tighter than they were a year ago, and the white polo shirts all coming to the end of their wear it is a perfect time to give these a new lease of life and keep the children entertained at the same time. 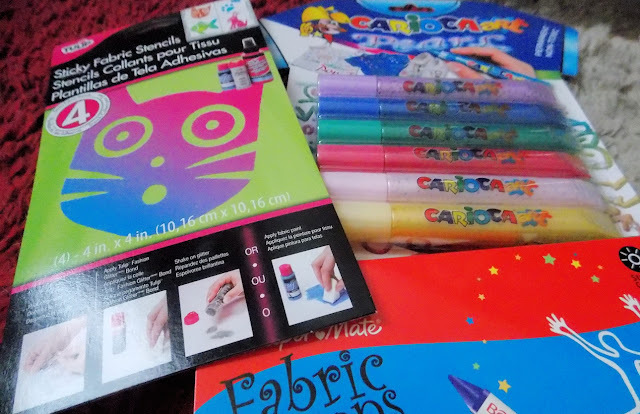 And as if by perfect blogging magic I received a lovely box of craft goodies from Yellow Moon to review, and included there was a set of fabric stencils, Fabric crayons and paint - perfect! 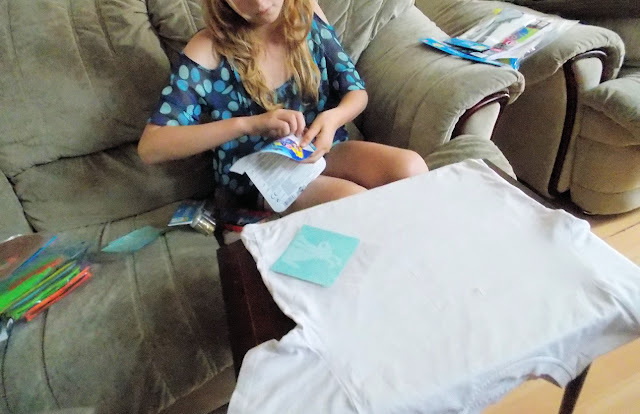 So yesterday we set about designing our own T.Shirts we used the fabric stencils to print a dog onto a T.shirt and Chloe got creative with the fabric crayons. a really fun creative way to spend a day. For a great range of arts and craft products do take a look at Yellow Moons website, there are so many craft supplies to choose form at very affordable prices. 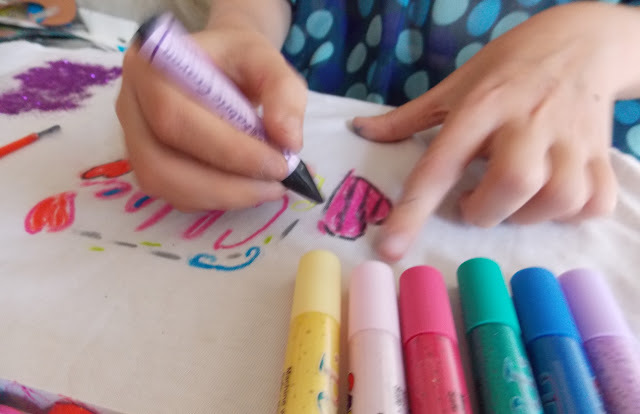 The Fabric Paint pens priced at just £3.99 and the Fabric crayons also £3.99 making these a affordable essential part of any craft box, they are bright and vibrant colours and easy to use for even the smallest hands. I need to get my kids to do this too.It'll be great to see what they come up with.